Leading hydro-power generator NHPC Ltd has firmed up plans to develop a 100 Mw solar park in Odisha. 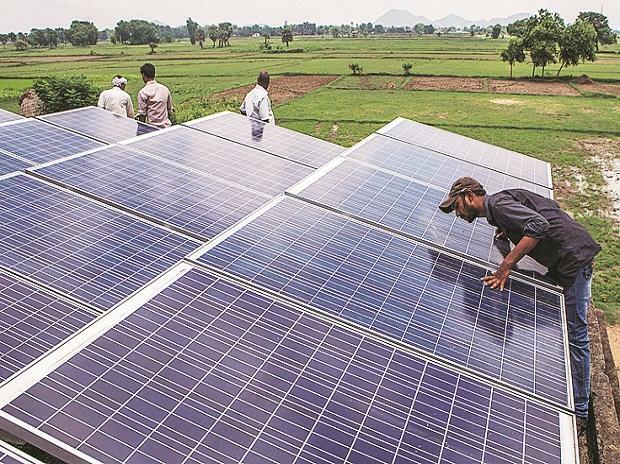 Opting for a staggered implementation, the central PSU, in the first phase, has invited bids from engineering, procurement and construction (EPC) contractors for installing a 40 Mw crystalline PV (photo voltaic) grid-connected solar power project in south Odisha’s Ganjam district. The selected developer will be responsible for ensuring the construction of a 132KV transmission line and evacuation arrangement over and above its core mandate of the plant’s operation and maintenance for 10 years. NHPC is trying to impress upon the state's bulk power purchaser, Gridco, to buy 40 Mw power produced there. Gridco has signalled its preliminary consent for the power offtake. In 2018, the Ministry of New and Renewable Energy had accorded an in-principle approval to NHPC for development of 100 Mw solar park in the state. NHPC's plan assumes significance as the state government, in its Renewable Energy Policy-2016, is planning to add 2,200 Mw capacity of solar energy by 2022. According to KPMG estimates, the envisaged solar capacity needs Rs 13,500 crore in investments. The central PSU has already commissioned a 50 Mw solar project in Tamil Nadu and another wind power project of equal capacity in Jaisalmer, Rajasthan. It has a set a target for at least 430 Mw of renewable energy as part of its green energy commitment. In 2017, the power generator had evinced interest in setting up a 100-200 Mw solar project in Odisha to enable Gridco fulfil its renewable energy purchase obligation (RPO) with an assured power purchase agreement (PPA). In addition, the company was keen to participate in the 1,000-Mw solar power park scheme coming up in Odisha. NTPC, NLC (formerly Neyveli Lignite Ltd), North Eastern Electric Power Corporation Ltd (NEEPCO) and SJVN Ltd, a mini-Ratna PSU, have also evinced interest in participating in the state's solar park programme. Odisha’s ambitious solar power generation targets are impeded by lower amount of solar irradiation received. This puts Odisha at a competitive disadvantage in tariff discovery when compared to Madhya Pradesh and Rajasthan where solar tariffs have sunk to historic lows at auctions. The eastern state receives an average solar radiation of 5.5 kWh/square meter with an average capacity utilisation factor (CUF) ranging from 15-17 per cent across the districts and around 300 clear sunny days every year. In contrast, in Rajasthan, the average solar radiation exceeds 7 kWh/square meter.